The German Agricultural Society or Deutsche Landwirtschafts-Gesellschaft (DLG) has released DLG Test Report 6802, NovAtel SMART6L receiver PPP Automatic Steering Test. 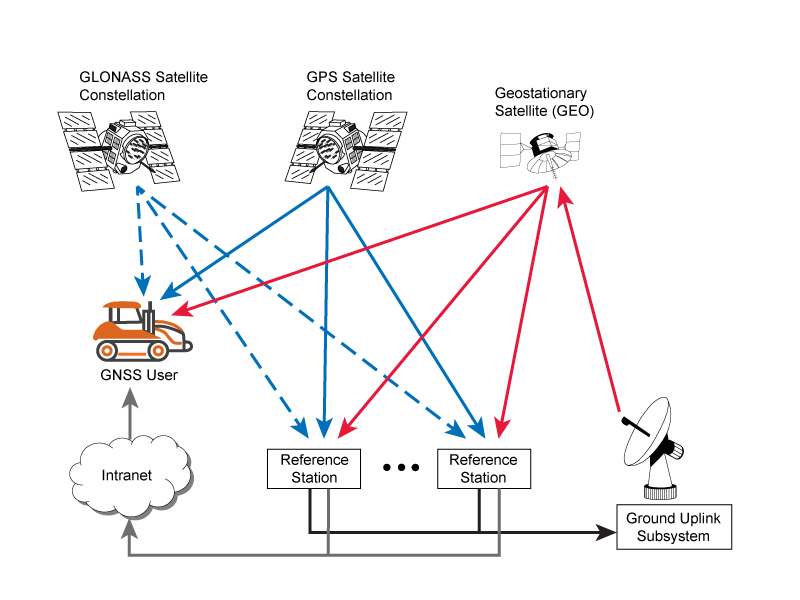 This new report describes the benefits growers can experience using NovAtel’s TerraStar-C and TerraStar-L Precise Point Positioning (PPP) technology with a SMART6-L Global Navigation Satellite Systems (GNSS) receiver for automatic steering. The DLG is an organization that promotes technical and scientific progress in the agriculture and food sectors. Set up to test equipment and machinery, the DLG Test Center Machinery and Farm Inputs provide impartial information for practitioners. Control and display elements used during the tests. Photo courtesy of Deutsche Landwirtschafts-Gesellschaft. 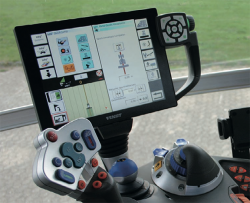 The DLG awards a DLG-APPROVED quality mark to farm machinery that passes a limited test program within a DLG usability test. Using a Fendt 828 Vario tractor, combined with the Fendt “VarioGuide RTK” steering system and the NovAtel SMART6-L receiver, steering accuracy was tested using both TerraStar-C and TerraStar-L correction services. NovAtel’s TerraStar-C correction service provides a 5 centimeter or less (95%) position accuracy, and TerraStar-L provides a 50 centimeter or less (95%) position accuracy with a 15 centimeter pass-to-pass accuracy. The DLG test is designed to measure steering accuracy under various conditions as part of the criteria to receive the DLG-APPROVED quality mark. The DLG test reported that NovAtel’s TerraStar-C correction service achieved a 2-3 centimeter system steering accuracy on an A-B run on an even track at 8 km/h, and a 3.4 centimeter accuracy at 15 km/h. The long-term accuracy was reported at 3-4 centimeter over a 24-hour period. As well, the pass-to-pass error was less than 3 centimeter over the duration of an hour. The DLG test reported NovAtel’s TerraStar-L correction service at 17-18 centimeter accuracy during an hour A-B run on an even track at 8 km/h, and 10-11 centimeter accuracy on a contour run at 5 km/h. The pass-to-pass error remained below 15 centimeter for the duration of the tests. The accuracy of the automatic steering system was determined by using measurements from an optical reference system. A tachymeter automatically followed a prism attached to the 3-point rear linkage and records the measured values. The measurements were taken on the testing ground of the DLG Test Center Technology and Farm Inputs in Gross Umstadt and were accompanied by one of the manufacturer’s staff. All settings were configured according to the manufacturer’s specifications.